Every town has a number of takeaways, providing fast food throughout the day and evening to a wide range of customers. If you happen to be the owner of one of those takeaways, you need to be ready to provide a fast and efficient service. A takeaway EPOS system can help you do that. The faster you can do this, the quicker the orders will be completed. This leads to happy customers who know they won’t have to wait long if they order from you instead of your competition. An EPOS system will enable you to do this, as the order will be sent directly through to the kitchen when the customer places it and pays for it. This leaves you free to take more orders and prevent a queue from building up. A more advanced takeaway EPOS system can also enable you to take orders via your website. The system can be connected to your site quite easily with the right software in place, enabling you to offer a service your competitors may not have. You can also invite orders via text message if you wish. This will appeal to more customers so you can reach a wider audience as well. Takeaways often have special offers to try and drum up more trade. 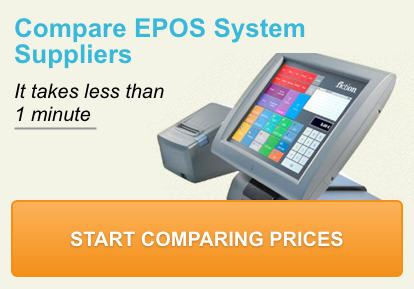 You will find this easier to do with an EPOS system, because you can program the offers into the system in advance. This means you don’t have to remember which offers are valid and which ones have ended, or work out how much should be taken off the order at the time. The system will handle everything for you, making sure the customer is charged the right amount for the total order. The terminal you will use to take orders with makes life much easier for you and your employees. Since you can customise it however you wish you can make sure the most popular dishes are in view whenever you look at the screen. Shortcuts can also be used to speed up the ordering process if it suits you to do so. Make sure your EPOS system provides an easy way for the customer to make payment. Quick card payments can be processed through the system safely and efficiently, or you can take cash payments via the till. Since everything is linked together, the most efficient EPOS system can save you a lot of time. You can always ensure your takeaway establishment has all the ingredients it needs to provide all the dishes your customers will order. Your system will alert you to low stock items so you can re-order them in plenty of time to prevent selling out. As you can see, the average takeaway can benefit from using a fully fledged EPOS system every single day.